Free, but donations greatly appreciated to help us cover our costs! Planting a rain garden is a fun way for people to make a difference in the quality of the water in our rivers, lakes, and streams, starting in our own backyard. You don’t need any special equipment – just some space, a spade, compost, and a few plants. 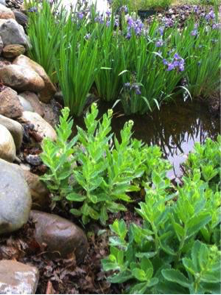 This talk covers the benefits of Rain Gardens and how to build and plant one. Susan Bryan is the Rain Garden Coordinator for the Washtenaw County Water Resources Commissioner’s Office, working with plants and people to protect the water quality in the Huron River. She has designed many residential gardens, rain gardens, and bio-infiltration areas. She is a past president of Wild Ones, has a master’s degree in landscape architecture from the University of Michigan, and is an Advanced Master Gardener in Washtenaw County. Roger Moon is a Master Rain Gardener, trained in the Washtenaw County program, with four rain gardens on his property. He has given numerous talks on rain gardens, media appearances, and designed six rain gardens himself. 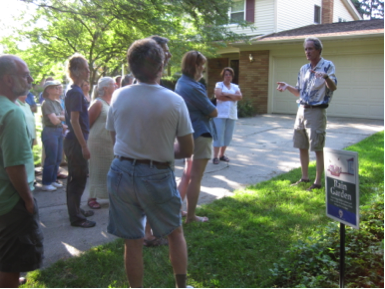 Roger has adopted rain gardens in Huron Hills and Gallup parks, and takes care of them throughout the year. Roger received the Washtenaw County Rain Garden Leadership Award in Education in 2015.